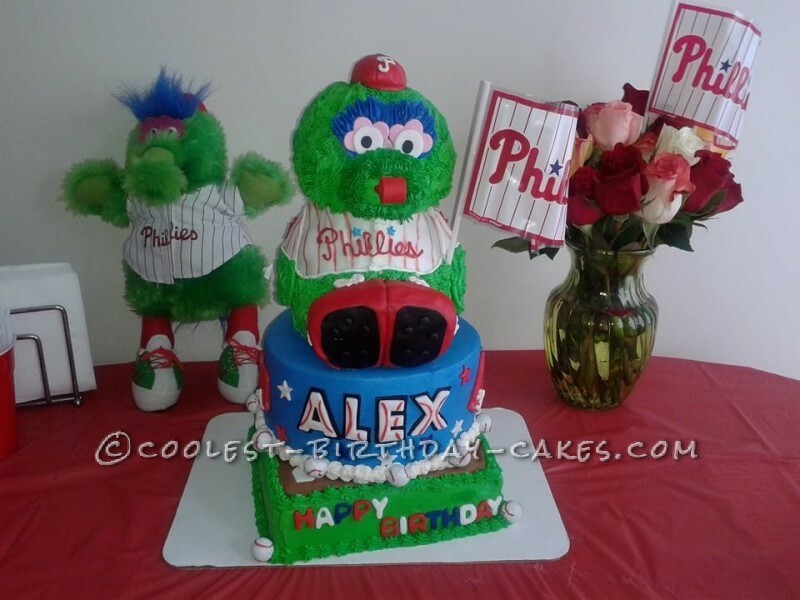 Here is my sons 3rd birthday cake… I went with a baseball theme and since we have the coolest Mascot around, I attempted to make a Phillie Phanatic out of cake!!! And I must say it turned out a lot better then I expected! 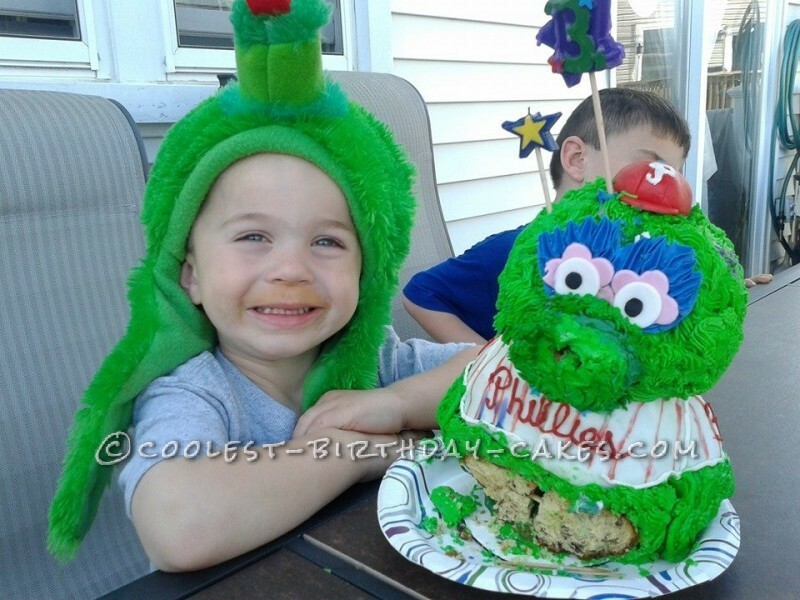 His nose started to fall off right before the party but I just melted some chocolate and used a few toothpicks and he was good as new again! !